McKee's 37 High Performance Glass Restorer, 8 oz. Scroll down to view the 16 oz. size. It's twice as large for only a few bucks more! Water spots are created when drops of water evaporates off the surface of your vehicle. All water contains minerals, including iron and calcium, and sometimes salt. Rain water contains all these things plus pollution. When the drop evaporates, these trace elements are left on your vehicle to etch the outline of the drop. They are the reason that water spots are permanent even though water is not. Because the spots are often etched into glass, cleaners cannot remove them. McKee's 37 High Performance Glass Restorer removes mild etched water spots from glass and restores perfect clarity. The unsightly cloud of water spots that exists on the windshield out of the wipers’ range can be removed! For the damage that has already been done, use McKee's 37 High Performance Glass Restorer to remove water spots and mild mineral etching and to restore perfect clarity to windshields and windows. McKee's 37 High Performance Glass Restorer can be applied by hand or with a polisher. To apply by hand, pour a nickel size amount onto the orange side of the Orange Foam Applicator. 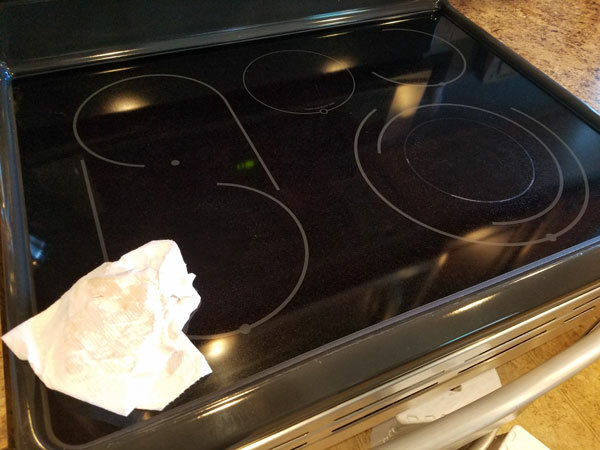 I used the McKees 37 high performance glass restorer on my glass cook top with my Rupes polisher. What an amazing result!!! Love your products. -Dave B. Incredible product 5 Removed years of hard water spots. My wife tried it on our glass stove top and soap scum shower doors with great success too! Cons:None! Buy the 16 oz, it's only a few dollars more.